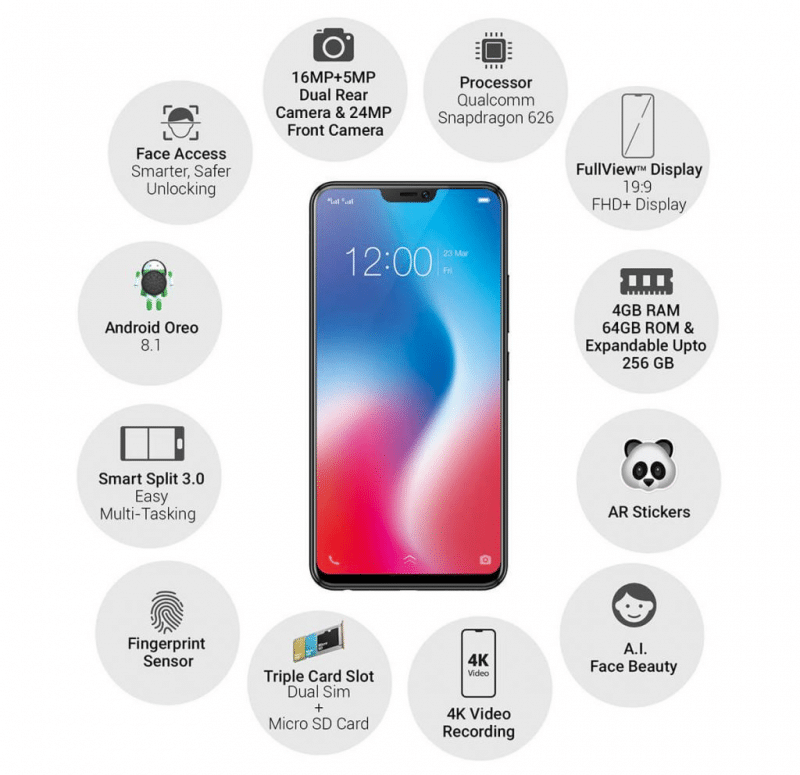 Pre-order your Vivo V9 with 24MP AI selfie camera starting on March 26 - All Chucked Up! The Vivo V9 is now within reach! 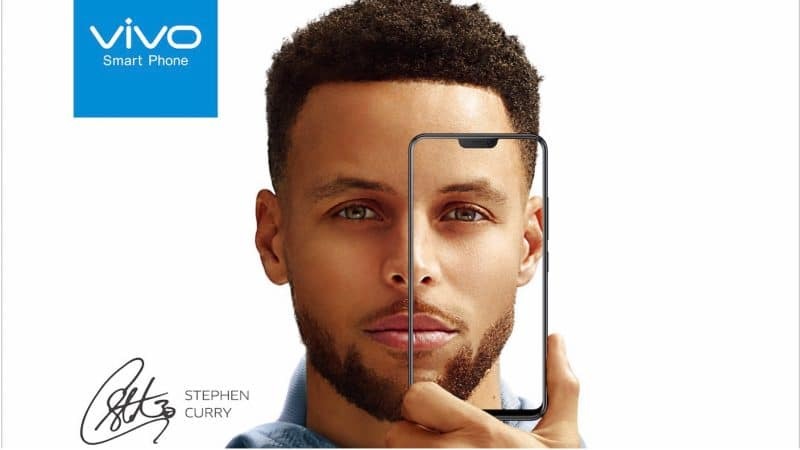 Global smartphone brand Vivo will accept pre-orders of its new flagship phone, the V9, beginning March 26. The announcement was made during Vivo’s summer-inspired launch of the V9 at the City of Dreams Manila on March 22. For those who want to be the firsts to get their hands on the Vivo V9, it will be available for pre-order starting March 26 until April 5, 2018. Aside from getting first dibs on the Vivo V9, those who will pre-order the new flagship smartphone will enjoy an additional six months of warranty and an anti-theft Bobby Bag. 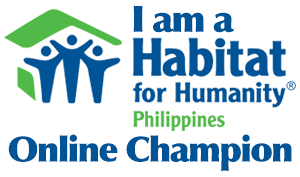 These perks will give them an additional savings of Php4,990. Vivo’s newest flagship smartphone is equipped with the latest Android 8.1 OS and is powered by a Qualcomm Snapdragon 626 octa-core processor, 4GB RAM, and 64 ROM. The Vivo V9 retails at Php17,990 at all authorized shops nationwide. It is available in Pearl Black and Gold. 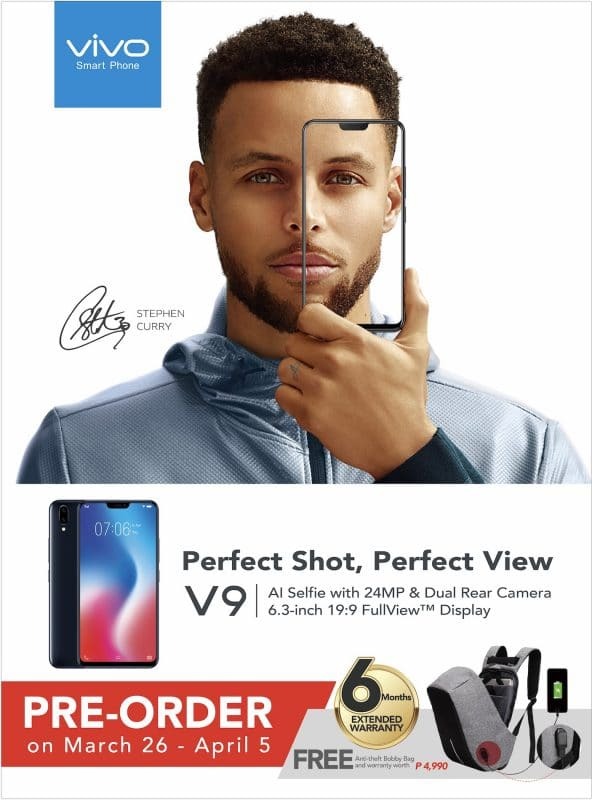 For inquiries about Vivo, visit the Vivo website at vivoglobal.ph or check out their Facebook (https://www.facebook.com/VivoPhil), Instagram (https://www.instagram.com/vivophil), and Twitter (https://twitter.com/vivo_phil) accounts. ‹ Join the Vivo V9 photo contest and win your own awesome Vivo V9 smartphone! › Acclaimed Filipino film BIRDSHOT is now on Netflix!